While the Holding has remained within its borders for centuries, deep space pilots have begun to tell tales of vast infernal rifts, and ships that vanish without a trace. Others report encounters with space dwelling creatures twisted and warped by infernal energies. 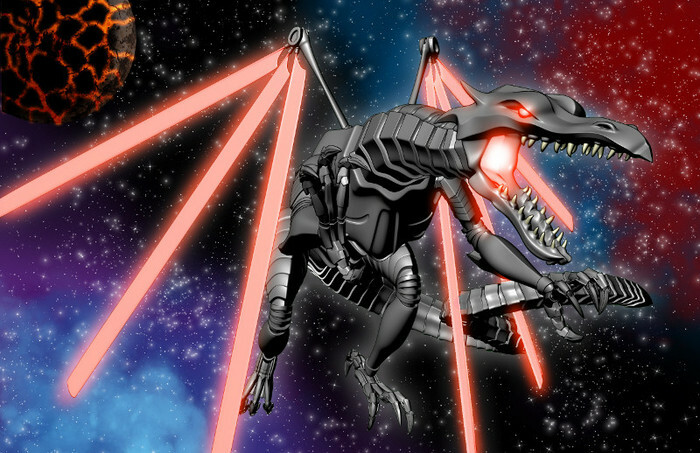 There have even been reports that a great laser dragon has been seen in the haunted sectors that lie near the Flames. Most dismiss these tales as idle rumor mongering, but some remember the history of the Holding, and quietly prepare for the worst. For nine millennia, the Holding has been guided by the pitiless will of Nyotan, Invincible Lord of Karakos. Also known as the Scourge of the Abyss, Nyotan has entangled itself in the mind of a young laser dragon, harnessing its ire for Nyotan's own dark purpose.